Day 03 (Tue) Today’s ride will be fairly long and tiring due to the long distance between Cappadocia and Pamukkale and lack of convenient lodging location. Drive to Konya to visit to the Mausoleum of Mevlana, the world-wide famous mystic figure. Then continue on to Pamukkale and overnight (B, L, D). Day 04 (Wed) Tour the ruins of Hierapolis including the magnificently preserved cemetery "Necropolis", the Main Street and Gates, the Thermal Baths, the Roman Theatre and the Museum. In the afternoon tour Aphrodisias, the city of Aphrodite; visit the Museum, the Temple of Aphrodite, the Theatre, the Stadium, the Agora, the Hadrian Baths, the Odeon, and the Bishop's Palace. Proceed to the hotel in Kusadasi for overnight (B, L, D). Day 05 (Thu) Morning tour to Ephesus area with Artemis Temple, Ephesus Antique City (Hillside Houses are excluded; entrance requires additional admission fee), one of the most popular ancient sites of Turkey with many acres of carefully excavated ruins; Virgin Mary’s House, where St. Mary is supposed to spend her last years together with St. John. Selcuk Ephesus Museum. Time for shopping. Overnight in Kusadasi (B, L, D). Day 06 (Fri) Early departure for Bergama and visit to the Asclepion and Acropol with the well preserved remains. In the afternoon continue on to Troy, the place where the legendary Trojan War took place as described in the historical work of Homer of Smyrna. After visiting the site with nine inhabitation levels covering a period of 3000 years, drive to Canakkale for overnight (B, L, D). Day 07 (Sat) After breakfast sail to the other side of Dardanelles by a ferryboat and drive to Istanbul with visit to Gallipoli, historically famous for being the site of many battles - particularly involving the Allied Forces including Australians and New Zealanders during World War I. 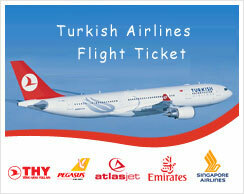 Arrive in Istanbul late afternoon and transfer to the hotel or airport (B, L). Includes : 6-night accommodation on BB or HB basis depending on the hotel booked, English speaking guide, transportation, lunch, entrance fees, parking and local taxes, transfers to/from the airport.